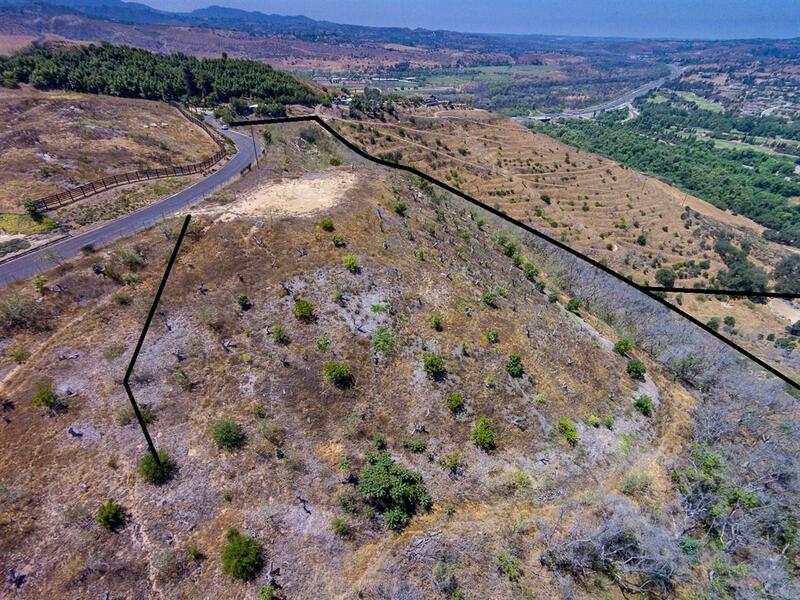 This 20.59 acre property has been split into 4 legal parcels with two accesses, from the top at Monserate Hill Rd., where very high end homes are being built, and at the lower section where two parcels accessed from Live Oak Creek Rd. via Gird Rd. Both access roads are paved county approved streets with water and power to each separate parcel. 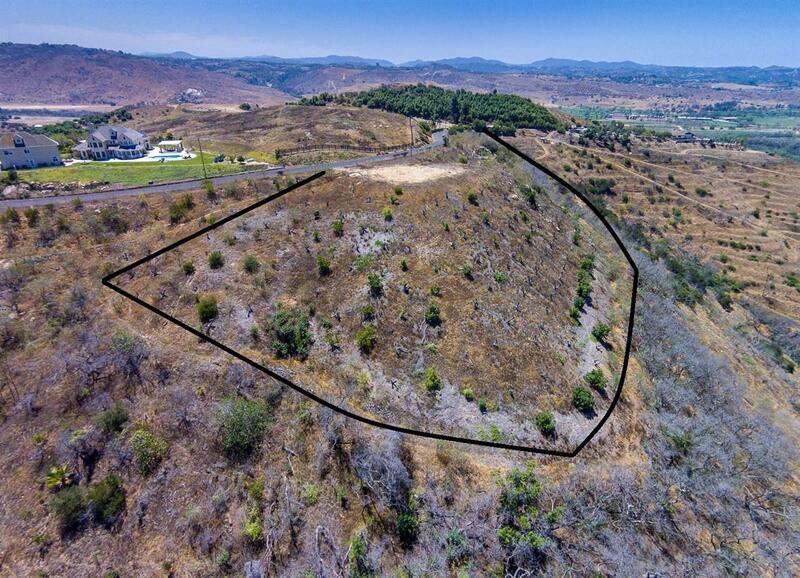 The top two parcels are blessed with forever views down the San Luis Rey River all the way to the coast and take full advantage of amazing California sunsets with a water meter servicing both and power fronting the property as well. These 2 parcels include septic layouts. 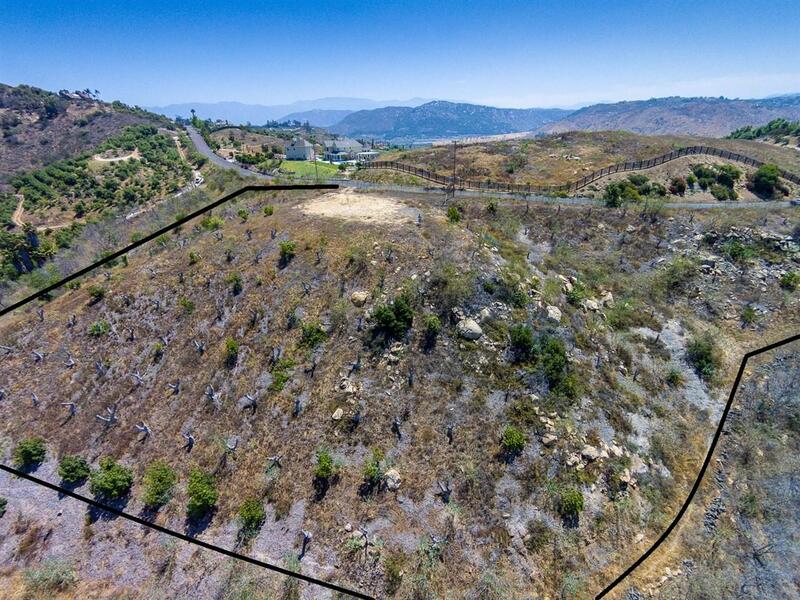 The two Live Oak Creek accessed parcels are ridge tops/hillsides with great Gird Valley views and water and power to or near the approved cul-de-sac. Contiguous property owners on Live Oak Creek Rd have installed a Fire Dept approved turn around before this area for a gate and before the river crossing. All paved and ready for the gate. The 20.59-acre property is being offered at $750,000, but the seller will entertain offers on the lower parcels at $130,000 each. They are approved for 3 bedrooms, but will need septic layouts. 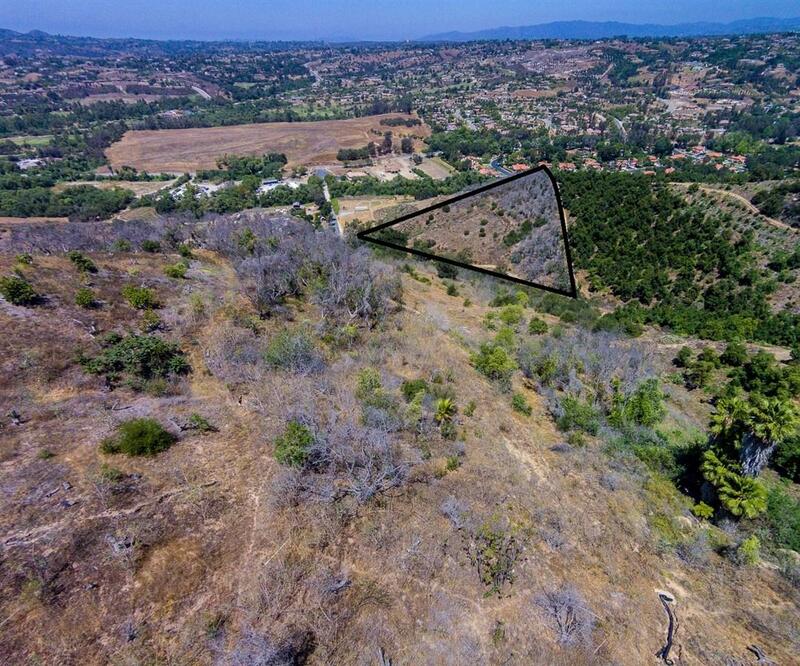 This project would be perfect for the builder needing an inventory of ready-to-build parcels in one of the best areas in the Fallbrook/Bonsall area. The property has been planted to avocados and let go, so all of the plumbing is in place to restart a new grove with high density resistant rootstock. Great property for that farmer investor looking for tax benefit potential, plus developing beautiful ranch estates overlooking the Gird valley.